Adsorbent design based on naturally occurring and modified biomaterials in the removal of heavy metal pollutants from waste streams. Integration of modified adsorbents in the design of environmental technologies for water treatment, recovery and re-use. 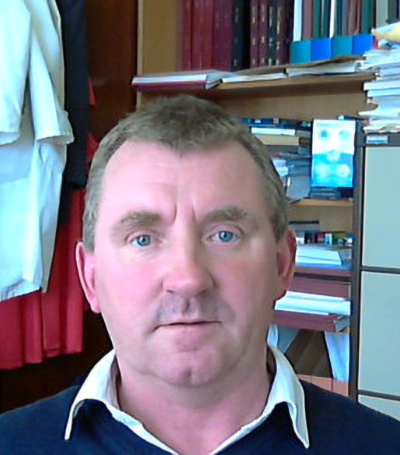 Tom O’Dwyer was awarded his Ph.D. degree from the University of Limerick in 1993. Prior to joining the University of Limerick in 1996, he worked with the Environmental Division of Bord Na Mona, a division of the company which engages in the design and manufacture of waste treatment technologies as well as broader environmental monitoring and consultancy work. He has also worked in technical roles in the pharmaceutical, dairy and food sectors. His research interests span various areas including pollutant removal from waste streams, environmental technology development, waste minimisation, water recovery and reuse and occupational hygiene. Since joining UL Tom has graduated a number of Ph.D. and M.Sc. students and has published extensively in a host of international peer reviewed technology and environmental research journals. He has also worked extensively in the areas of curriculum design and programme development, particularly in relation to the B.Sc. Environmental Science and B.Sc. Health & Safety programmes. He is currently Course Director for the B.Sc. Environmental Science.